You’re already hoping that he’ll find someone better to spend his time with, aren’t you? Obviously that is outside of his control. There’s no way he could arrange that, and if he could, wouldn’t he have already? He didn’t like the stew. 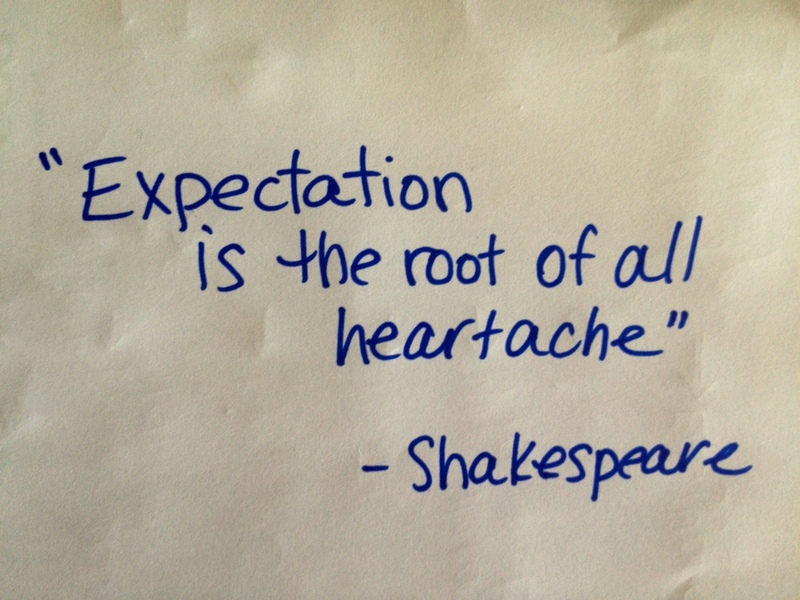 Impossible expectations always guarantee failure and frustration. People cannot give us what they do not have. Don’t expect your children to be perfect when you’re not. Don’t expect everyone else to always be perfectly kind when it’s okay for you to be a grouch because you’re having a bad day. The only place you can expect perfection is from God. “For God alone, O my soul, wait in silence, for my hope is from him.” (Psalm 62:5). “The hope of the righteous brings joy, but the expectation of the wicked will perish.” (Proverbs 10:28). 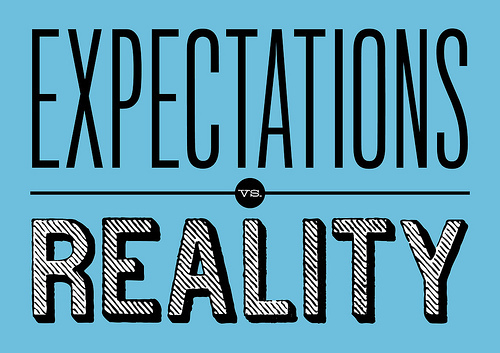 Let’s have high expectations for each other—but not impossible ones! When we studied the book of Galatians together, Paul warned about deserting the gospel for “another” gospel—even though there is no such thing as another gospel (Galatians 1:6-7). The Gospel of Sin Management: Believers in this gospel believe that the whole purpose of church, religion, and faith, is basically to help keep them nice, moral, and good. They view the church as a pill to prevent public, shaming sin. It’s true that Jesus transforms us and we aim for holiness, but we need to remember that the reason Jesus came is because we aren’t perfect and won’t be in this life. 1 John 1:8-10 warns against pretending like we don’t sin. The Red Bull Gospel: Named after the energy drink that keeps you awake and alert, the Red Bull gospel emphasizes how we feel over everything else. If the worship service isn’t “uplifting and exciting,” this false gospel says that it didn’t count. It thrives at the end of mission trips, camps, and revivals. This gospel fails to account for the rigors of every-day life. Not every moment can be a mountain-top experience. Much of the substance of our faith comes from obedience when we don’t feel great. It causes us to forget that love is a choice worth pursuing (1 Corinthians 14:1). The real gospel is this: “You were dead in the trespasses and sins in which you once walked…But God, being rich in mercy, because of the great love with which he loved us, even when we were dead in our trespasses, made us alive together with Christ—by grace you have been saved—and raised us up with him and seated us with him in the heavenly places in Christ Jesus…” (Ephesians 2:1-6). 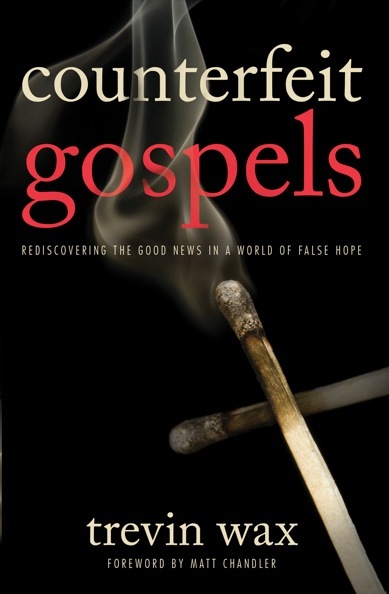 The real gospel is life for those who were dead, hope for the hopeless, and sight for the blind. It’s not a nice “add-on” to our experience in this life—Christ “is our life” (Colossians 3:4). Our goal for the year is to be “Simply Christian.” That means we focus on the real gospel for real life! I never remember if I turn the camera on or not! Wayne at the campground was kind enough to give us some suggestions for the ride Thursday. He didn’t steer us wrong at all! Before we left, he made a call or two to verify that we had fuel where we needed it. What a great service! We left out of the campground on TN-315 until we hit TN-30 at the Hiwasee River in the booming metropolis of Reliance, TN. 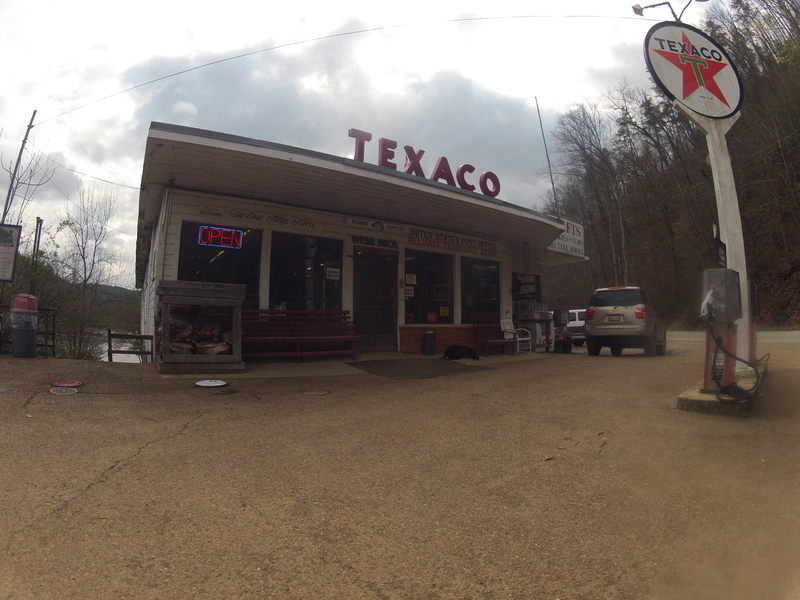 We continued south on TN-30 until we hit US-64 at the Ocoee. 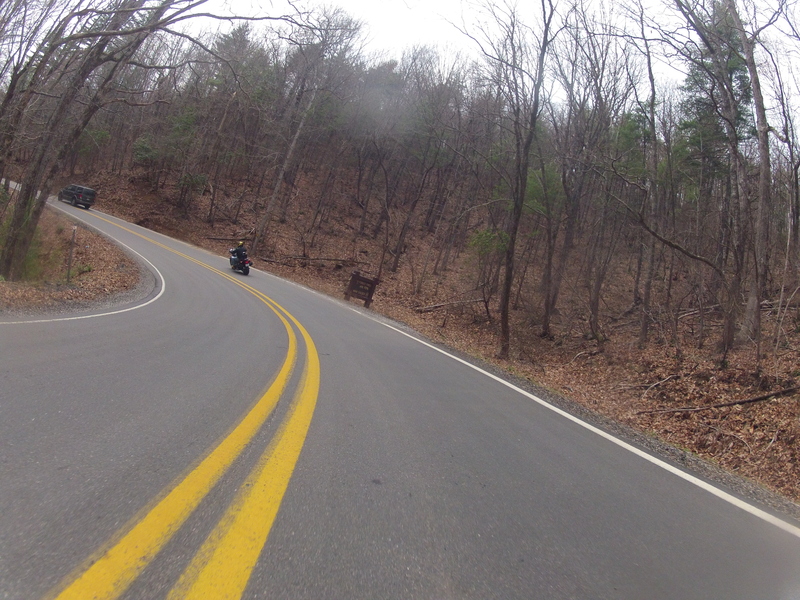 TN-30 was a great little twisty road in the woods without a lot of traffic. We took US-64 east to Murphy, NC. 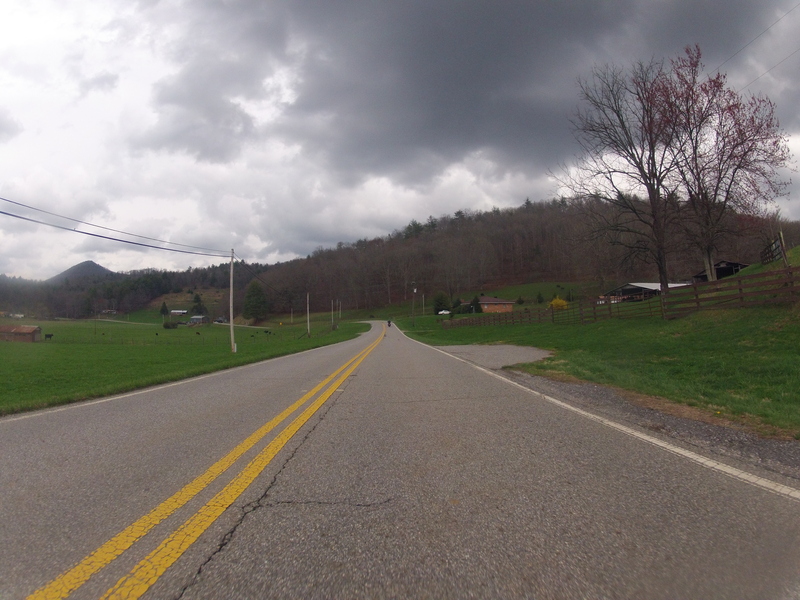 I love riding by the Ocoee…but there’s just too much logging traffic here. It wasn’t too bad being a Thursday mid-morning. We hit a few light showers, but not even enough to cover the visors. Lunch in Murphy at a BBQ joint was nice. While we were stopped, we took off John’s home-made air filter. Evidently that combination of paper towels was chocking him out at speed. You’ll have to ask him for the details on that one! We hit US-129 south into Georgia. Even though it’s the same road as Deal’s Gap, it isn’t the same road. Lots of big rigs here. We peeled off on GA-325 to circle Nottely Lake. GPS didn’t completely agree about where we were here, so we were pleasantly surprised to end up back on US-129 north of Blairsville. 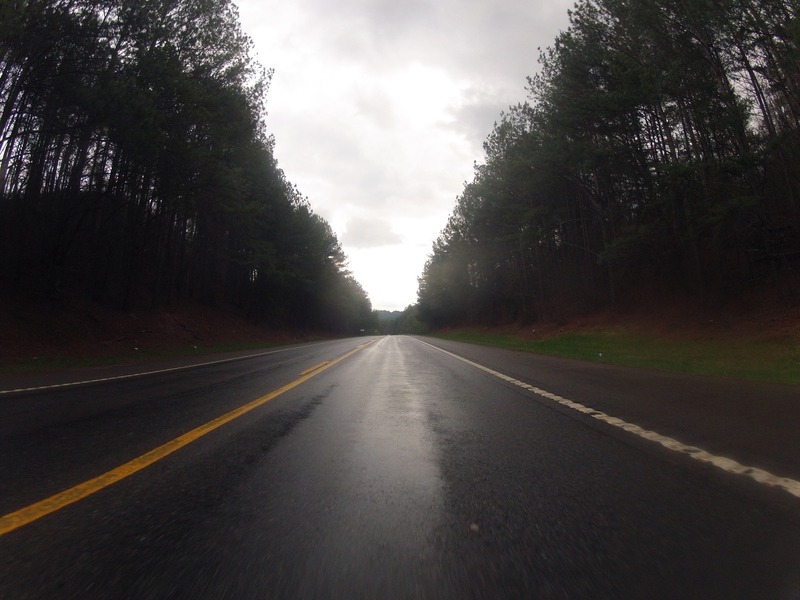 We continued south until just north of Vogel State Park where we picked up GA-180 towards Suches. This road was the hidden gem of the trip. It winds through switchbacks in the Chattahoochee National Forest. WOW! This may have been the best riding of the week. Great switchbacks, tight turns, and good views. We came upon a couple of eastern Europeans who went a little too fast for a curve…they were picking the leaves out of a bike but were otherwise unscathed. 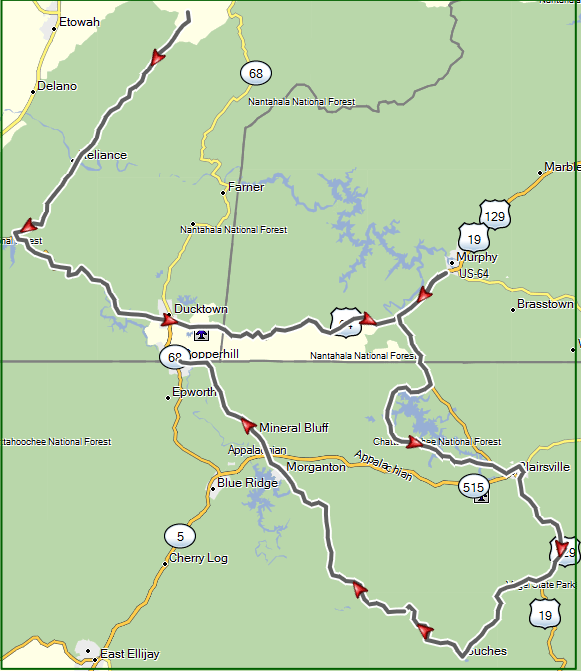 We picked up GA-60 going northwest through the forest towards McCaysville, Georgia and Coppertown, TN. At one point we turned in behind a 15-passenger walk-on bus. I think John and I both groaned a little bit to be on such a good road behind such an awful vehicle, but we were wrong. The lady driving that bus actually made us work to keep up with her. It was obvious she knew where she was! GA-60 becomes TN-68 at the state line. 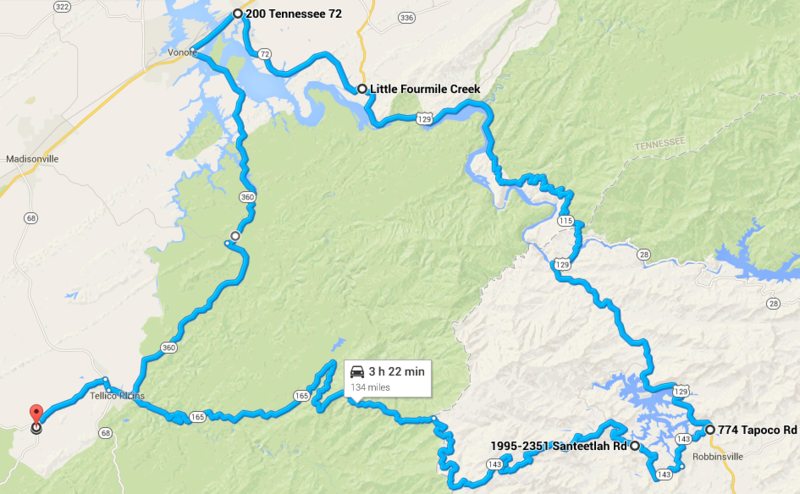 It takes us through Coker Creek back to Tellico Plains. We got in about 150 miles today. The pace was a little bit quicker and the roads were all new to us. Great riding! 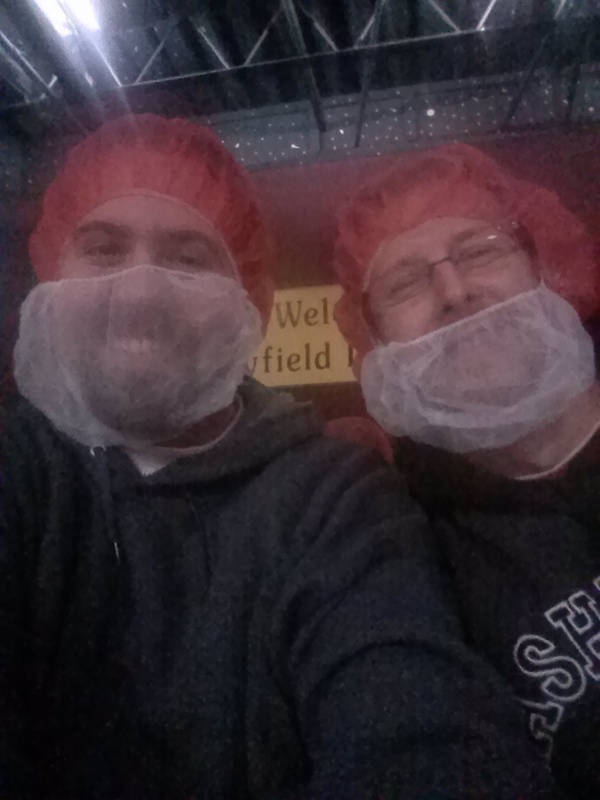 So we just went to a Mexican place in Athens, TN and toured the Mayfield Dairy. Chocolate ice cream was a pretty good way to end the trip! If you haven’t heard of it, March Moto Madness is great. 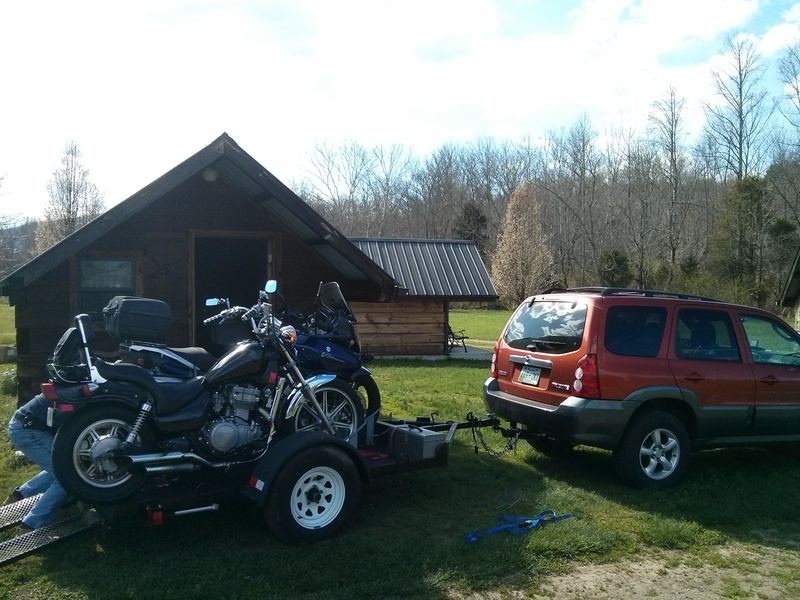 It’s a weekend dual-sport rally in Tellico Plains, TN. 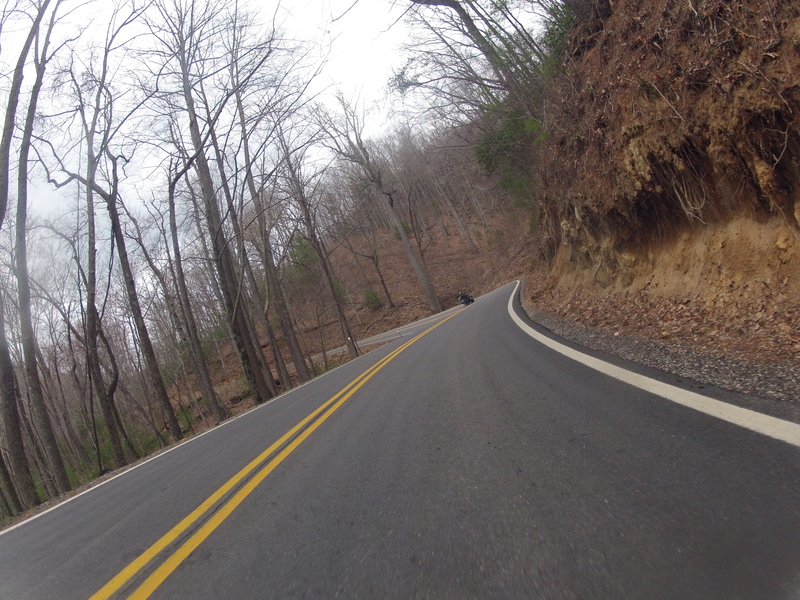 It’s close to my favorite paved twisties and all sorts of forest service roads. 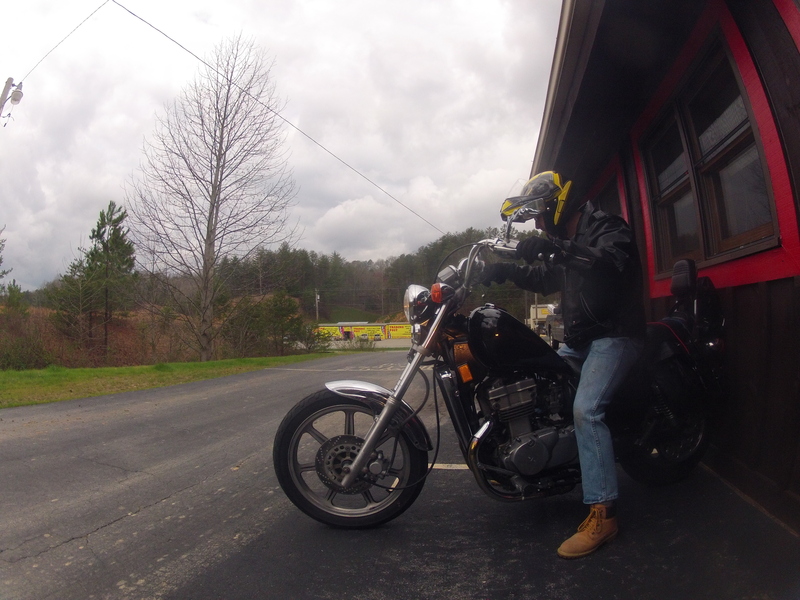 This year, my buddy John Gabriel and I decided to head out to ride this weekend. We were planning on leaving Thursday and staying Thurday-Saturday…but the weather forecast showed that Wednesday was beautiful and Friday and Saturday would be cold. So we shifted our schedule up a day. 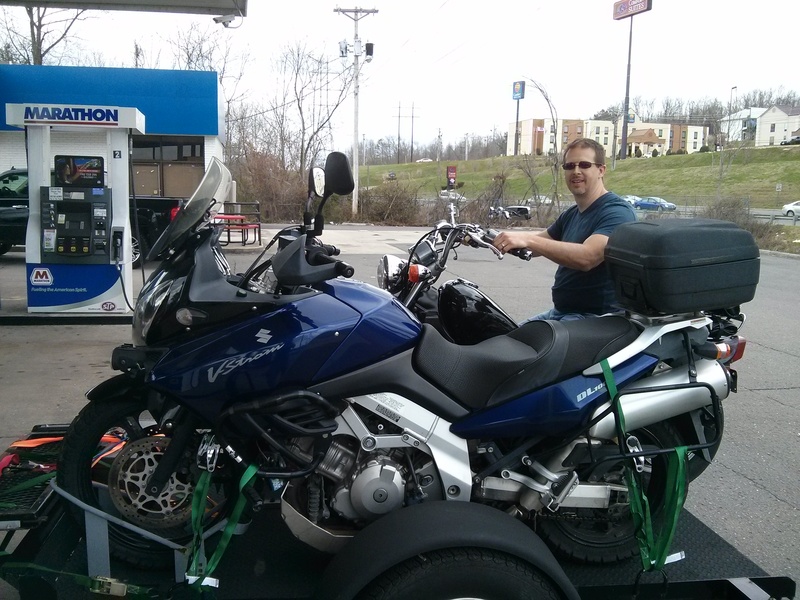 John “riding” at a gas station in Cookeville. We loaded up the bikes on the trailer about 8:30. 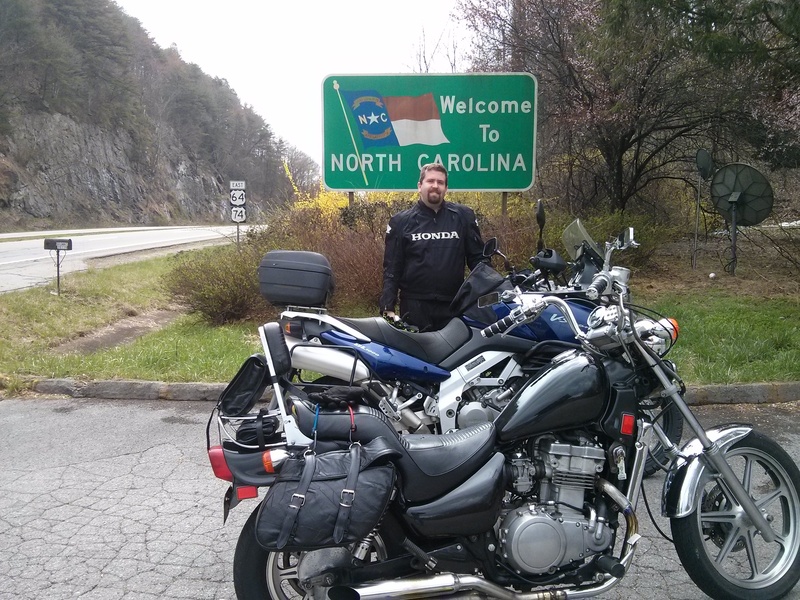 The V-Strom and Vulcan make odd traveling companions, but they fit together fairly well. The weight was a little too far back on the trailer, so we made fairly slow time. (I need to move up the second wheel chocks by about 8 inches before the next trip.) 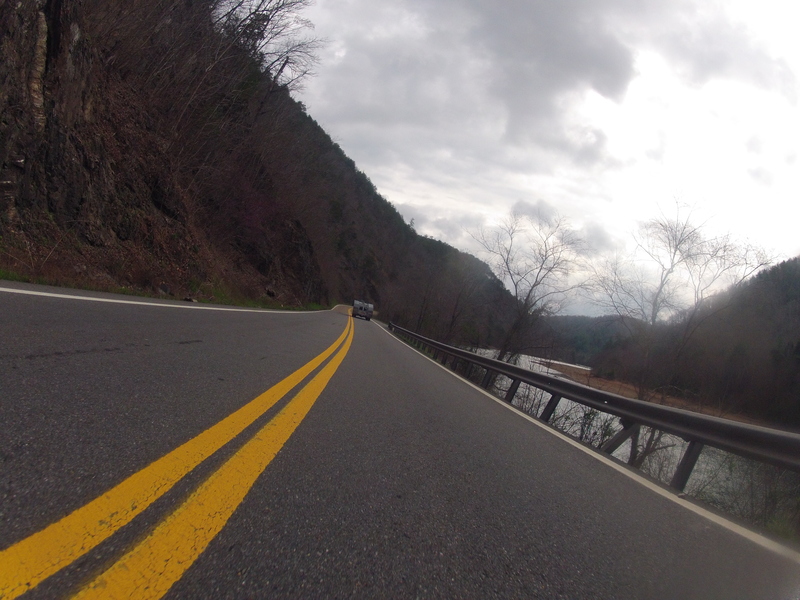 My max speed was about 65mph to avoid that awful fish-tailing wobble that an unbalanced trailer brings. We made it to the cabin a little after 4pm local time. Rather than camping at MMM, home base was Cherohala Mountain Trails Campground. As far as I’m concerned, it was about the perfect motorcycle campground. I usually like to write more about the rides than the accommodations, but I’ve got to tell you about this place. 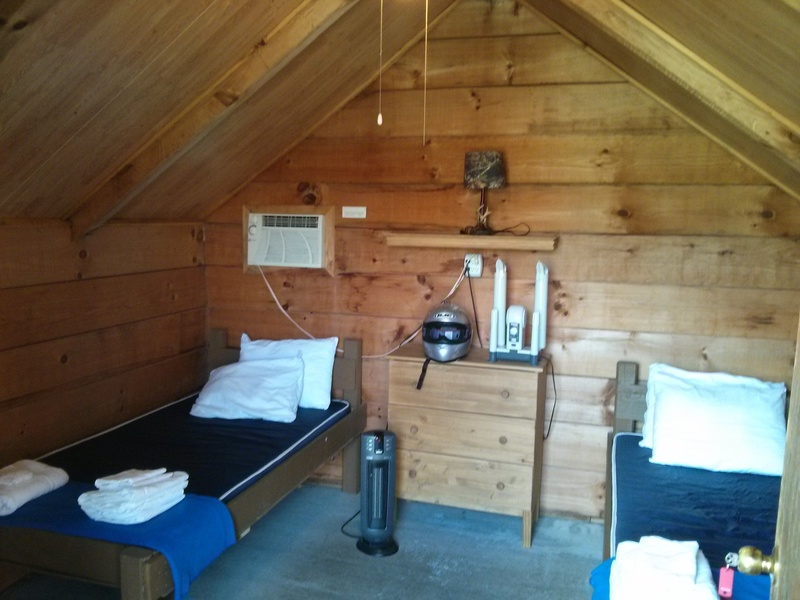 Now, your wife might not be impressed with the campgrounds; the cabins don’t have bathrooms, but it had the nicest, cleanest bathhouse I’ve ever used. 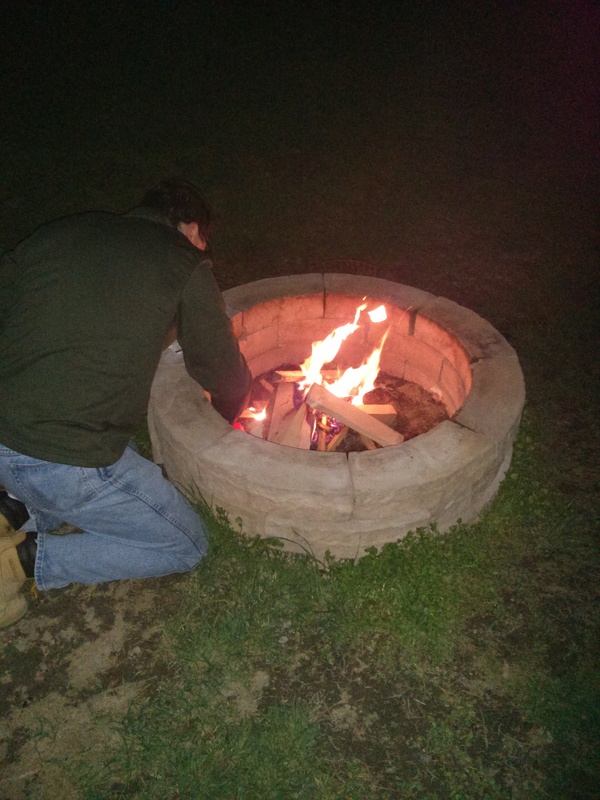 Great fire pits, gazebo, creek. Really nice place. He really caters to motorcycles, though. It had EVERYTHING a motorcyclist might need. 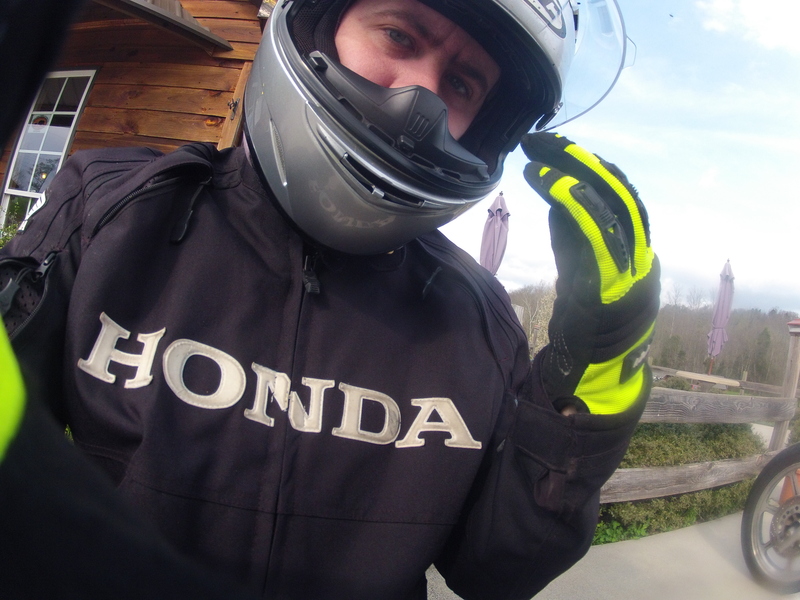 Each cabin had a glove/boot dryer, a stone for the kickstand, racks to hang jackets, helmets…you name it. There was a bike washing station. He had special towels for cleaning up your bike. Wayne (the owner) even lets his guests use his shop and tools to get some repairs! There was a little breakfast stuff in the morning, Wayne sold hamburgers and Philly cheese steaks in the evening. When we asked him about a fuel stop, he called the station to verify that they were open and what grades of fuel they had in stock. He had great advice on routes and weather. I can’t recommend the place enough. 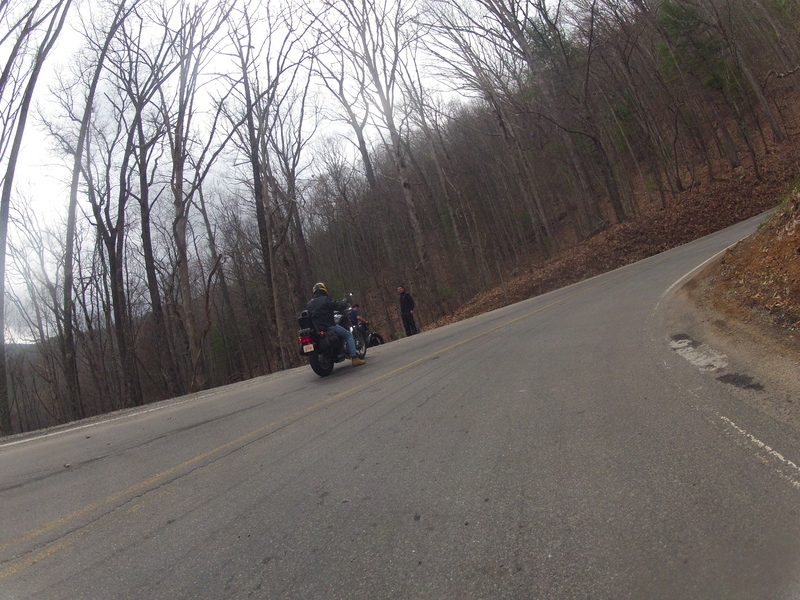 Once we got the bikes unloaded and got ourbearings, we decided we’d go hit our favorite roads first. We went back in town to the Skyway and took TN-360 North to TN-72 East to US-129 South. That’s where you pick up the Dragon’s Tail. Good ride with very little traffic. 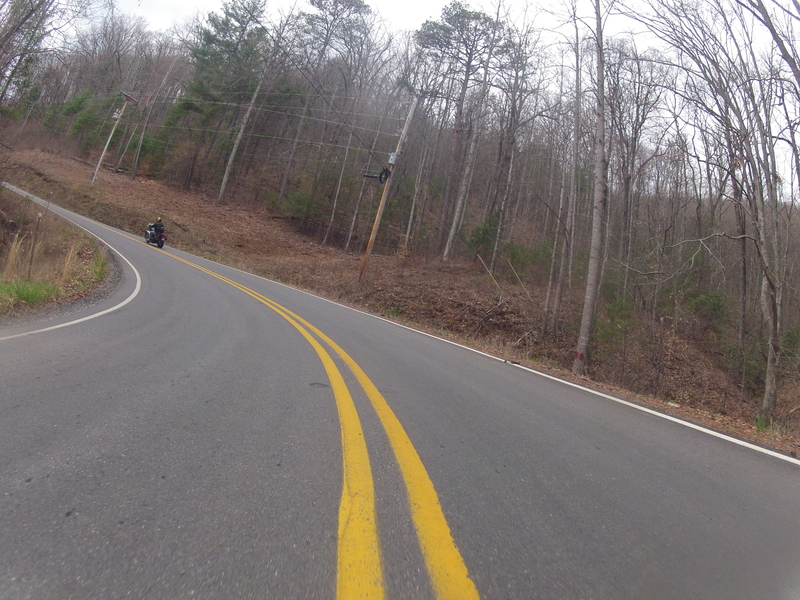 Took US-129 to the Cherohala Skyway back into Tellico. It definitely got a bit cool on top of the Skyway, but we got back into town just after sunset. We stopped at the Tellicafe for dinner. We didn’t realize it, but I think we walked in about 2 minutes after close. We got great service and the food was good….and they only looked like they were thinking about murdering us a little. Hopefully over-tipping was enough to keep them from slashing our tires that night. 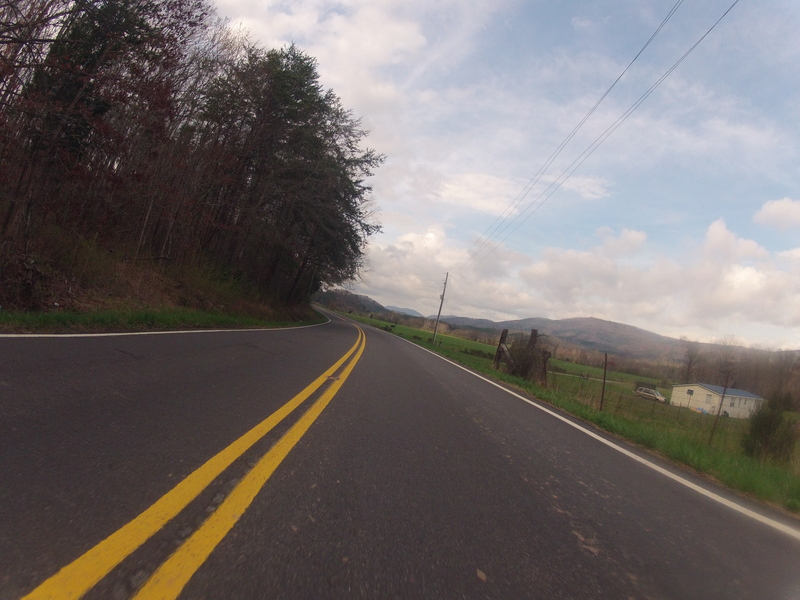 About 140 miles of riding on the day on my two favorite roads in the world. Weather was sunny and in the 70’s—can’t argue with that one bit! I could tell that it had been way too long since I had ridden any distance. I slept better than I had in a while. Day one was definitely a success! Stay tuned for day 2! In April 1987, seven million American children vanished without a trace. Law enforcement agencies have done their best to locate them. 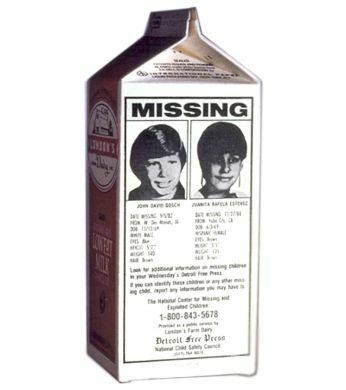 Hundreds of individuals have been investigated for their role in the disappearance of these children. What happened to these kids? I’ll give you a hint: the FBI, TBI, and CIA have not been investigating their disappearance. The law enforcement agency involved? The Internal Revenue Service. Here’s what happened. The Tax Reform Act of 1986 went into effect. Tax returns filed for that year had a new stipulation: if you claimed a person over the age of five as a dependent, you were required to include his or her Social Security number to verify them. When the tax returns started rolling in that year, the IRS noticed some strange trends. 60,000 families that claimed more than four children in 1986 claimed zero in 1987. Another 11,000 families claimed seven fewer children in ’87 than ’86! While seven million children went missing and were never found, the IRS did locate something they had been missing: an extra $2.8 billion in taxes paid in ’87! None of us loves paying taxes. Somebody said, “Be thankful you’re not getting all the government you pay for!” We need to remember, though, that despite how we feel, we have an obligation to “be subject to the governing authorities” (Romans 13:1) and to “render to Caesar the things that are Caesar’s” (Mark 12:17). Don’t pay more than you have to—but don’t pay any less, either. 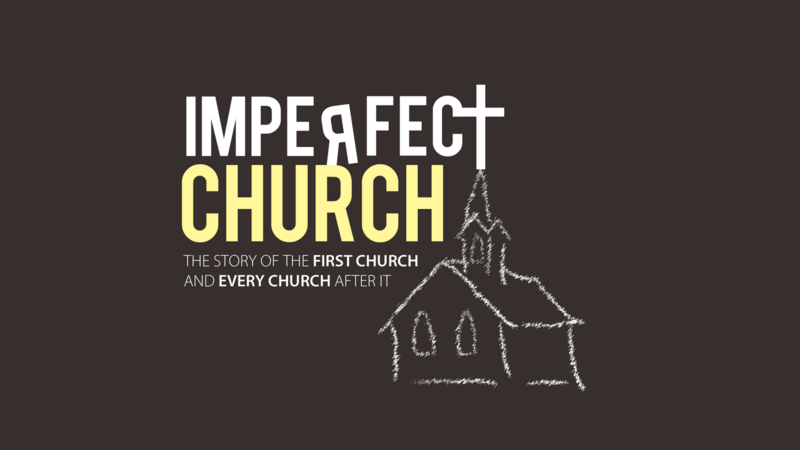 James Hinkle likes to say that if you find a perfect church, don’t join. If you do, you’ll ruin it! Another of my favorite Hinkleisms is that the biggest room in anyone’s house is the room for improvement. Unfortunately, the church has made mistakes. There have been times in our history when we chose the wrong hills to die on or represented the faith in a way that was unbalanced and unbiblical. Eugene Peterson had an interesting take on our imperfections and weaknesses. When Christian believers gather together, everything that can go wrong eventually will. Outsiders notice this and conclude that religion is but an empty promise, a hypocritical gathering of the pious. We insiders see it differently, though. Just as a hospital collects the sick under one roof, the church collects sinners. Many of the people outside of a hospital are just as sick as those inside, but their illnesses are undiagnosed, disguised, and untreated. So it is with sinners outside of the church. Christian churches are not, as a rule, model communities of good behavior. Rather, they are places where human misbehavior and sin is brought together to be dealt with. Of course the death rate at a hospital is higher than an elementary school; it is where the sick gather. No one should be surprised to find sin in a group of sinners coming together to deal with the sin problem. Jesus knew that you and I needed “cleaning up.” We actually needed more than that. We were dead, but he gave us life. Is there room for improvement in our church family? Absolutely. I wouldn’t dare join a perfect church.